Ford of Britain saw sales totaling 59,507 vehicles in September, maintaining its standing as the UK’s commercial vehicle sales leader with a solid month from the Transit Family and seeing good movement from the newly-launched next-generation Ford Fiesta. The new Fiesta led United Kingdom retail sales in September with 9,036 registrations. 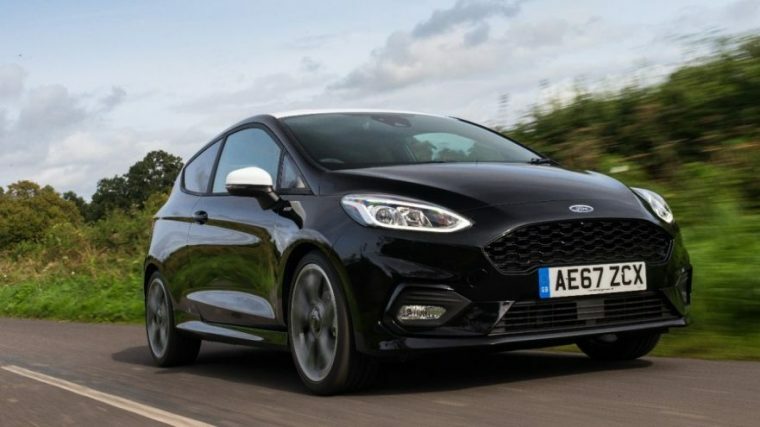 The new Fiesta is thus far only available in Britain in its Zetec and Titanium trims; the Fiesta ST-Line and Fiesta Vignale will pad out the lineup further later this fall, while the Ford Fiesta ST hot hatch and all-new Ford Fiesta Active crossover will hit the streets sometime in 2018. Through nine months, the Fiesta is once again the best-selling car in the UK, totaling sales of 75,814 vehicles and a market share of 3.6%, which is 0.8 percentage points ahead of the next-best-selling vehicle in its segment. Ford also saw strong retail sales in the month from the Focus and C-MAX, which are both the second-best-selling vehicles in their segment, as well as the segment-topping Ford Galaxy. Retail sales for the month totaled 39,696 vehicles, nearly 3,400 units ahead of the second-place vehicle brand. Ford’s commercial sales were down 4.2% at 57,368 vehicles registered. The Transit, Transit Custom, Transit Connect, and Ranger all topped their respective segments for the month. To date, Ford’s CV market share is 32.3%, up from 30.8% market share through September 2016.